Sinclair, Bella. Very Good. Lulu Goes to Witch School (I Can Read! Reading with Help: Level 2) by O'Connor, Jane. Trade paperback (US). Glued binding. 48 p. Contains: Illustrations, color. I Can Read! Reading with Help: Level 2 (Paperback). Intended for a juvenile audience. Sinclair, Bella. Good. 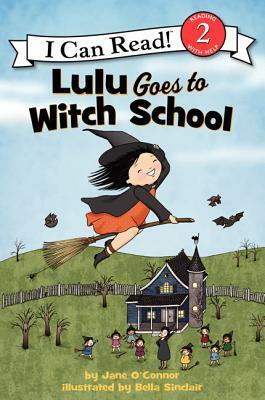 Lulu Goes to Witch School (I Can Read! Reading with Help: Level 2 (Hardcover)) by O'Connor, Jane, 2013-07-01. Sewn binding. Cloth over boards. With dust jacket. 48 p. Contains: Illustrations, color. I Can Read! Reading with Help: Level 2 (Hardcover). Intended for a juvenile audience. Fine. 0062233505 Ships from Tennessee, usually the same or next day.